March | 2012 | amidoinitrite? 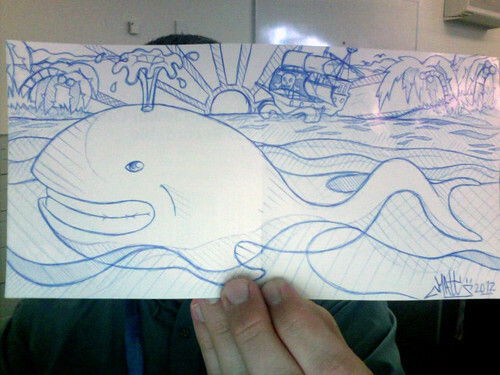 Personal whale, originally uploaded by Rowan Peter. I guess everyone has their own personal whale they need to overcome. This could be mine. Workplace-doodle-turned-excellent-parting-gift from a work colleague of 6 years. Thanks.